January 23, 2019: how can a dog be richer than a man? hey everybody! And by everybody I mean Ven and Jake, apparently. Hey! [waving frantically] Over here! I am a one-man multitude. The one-two punch of TOPT and EFD! or two, rather. Now three. This was much better when less people knew about this playlist. EFD! lovin' the 70's heaviness start and I'm sure what every comes in the next 160 + minutes too ! Sparks! I knew my loyalty would be rewarded. Evan is it true that your new profile picture will include the Mariano Rivera shirt? Peek-a-boo! Thanks efd, haven’t heard this in forever! i JUST got that this is a remix of american woman. wow! @dale, to be exact it's a loop of a section of "Saturday Night Fever" by The Lordz Of Brooklyn, which includes a sample from "American Woman." I’m gonna sell my “I Survived the First 15 Minutes of the Evan ‘Funk’ Davies Show” t-shirt up on eBay. It’s only a 1/2 hour old but very soft and worn in. BIN or best offer. Michael O sounds like a very sad chap who has been listening to Ray Davies a lot lately. I like it. I think I might need that t-shirt as much as anyone else! 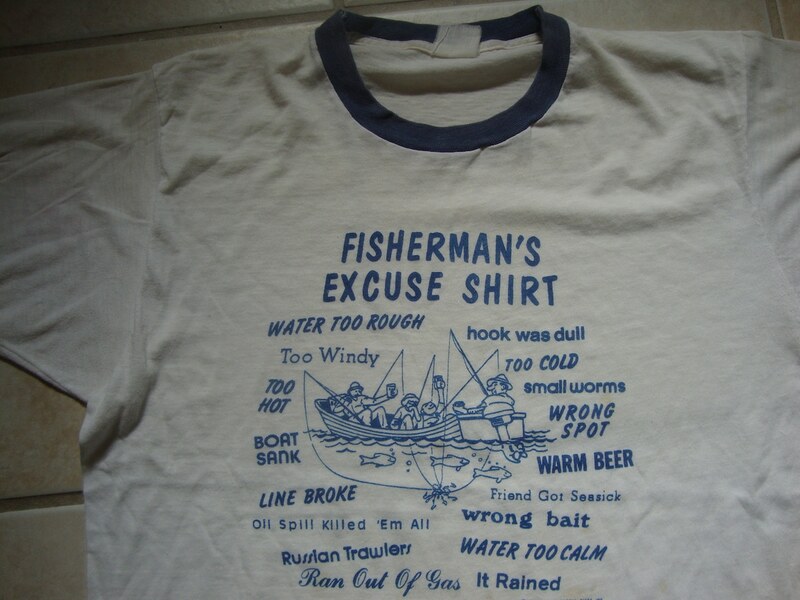 @efd: Do you remember those old “Fisherman’s Excuses” t-shirts? Like a frazzled fisherman in a boat surrounded by words with excuses? How about a “WFMU DJ Excuses” t-shirt in the same vein. Thumbs up @JakeGould. Count me in. @JakeGould I don't think I've seen those shirts before, but I like that idea! @spacecowboy just seems like a little too much! I second the T-shirt idea. A while back Brownwyn had a DJ nightmare board game like that. LikedGo Bang, but I loved Nemisis. It was hard to top. Very dramatic. shriekback sounds like they would been real good live. Love the show, creating and groovin!! Digging all this new (to me) music! hey Mike! Most of it is new to me too! Oh hell yes! Watch The Closing Doors! Haven't heard this in years. glad to see all the love for I.R.T.! Ultravox! Takes me back to how much I loved listening to WLIR. @ John -- how? on satellite radio? Hmm. Is it old broadcasts from the `80s? Dave Hill on WFMU. On his own show or otherwise. I have an old series iPhone but maybe I'll look into that. Thanx for the tip John.